A big "hello" to all you Copic Lovers! 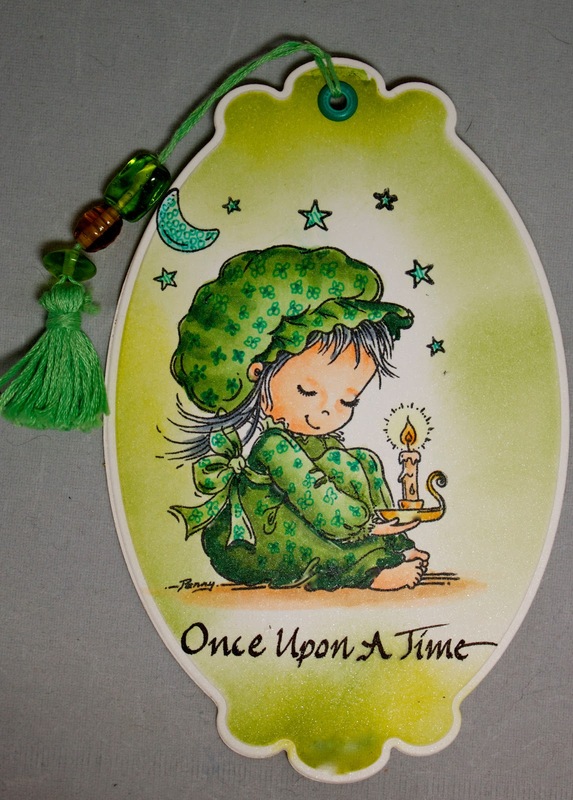 Marie here and I am excited to share my little whimsical bookmark with you. 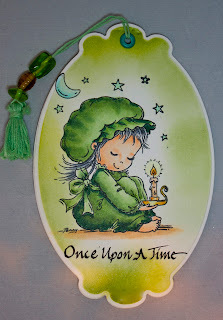 I selected the adorable little Penny Johnson image by Stampavie called Sweet Dreams. When I was taking my Standard and Intermediate Copic Certification classes with Marianne Walker last November, I smile as I remember her saying, - "Marie, you learned your lessons well. You are doing an excellent job with Copics and you learned all the rules. But your work is boring. People will not keep their eyes on it for an extra long time. Now you need to break the rules!" Wow! OK. So I have looked at many different people's work and tried to find ways to "break the rules". I decided to add some "fun and whimsy" to my work. I grabbed a 0.3mm Olive Copic Multiliner and started doodling. It feels fun and carefree to do this and gives an interesting little effect to the image. You can use the same color or change colors and provide greater color variations. Maybe you will want to mix it up! Either way - it's fun to just see all the different and crazy things you can do with Copic markers and multiliners! I hope you enjoyed this bookmark. Stop by tomorrow and see what wonderful Kelli has in store for you! Oh dear - now see I wasn't even aware that I could purchase these fine liners in 'different' colours..... I have them in plain old black... but NOT in different colours.. Now what did you have to go and enable me for??!! Hehehehe! She looks gorgeous and glowing Marie! ....oh and I love breaking the rules..hhahaha! Marie this is so super cute...I LOVE this image and the monochromatic effect is fantastic!! So so sweet! such a cute bookmark! love the little doodles! i have to learn to break the rules too. thanks for the reminder! What a great image and beautiful coloring. Yes, it is hard to break the rules, but you are right, how liberating when you do and see where your creativity takes you!! Great advice! My new mantra, why not?? How adorable, and as the name says.... so whimsical!!! Adorable bookmark! Your coloring is fantastic, but those doodles really do take it to the next level! TFS this idea!